Madrid has proposed to the European Union an agreement with Morocco similar to the deal with Turkey to stem the flow of migrants entering the country illegally. In 2017, there was a 100 percent increase compared to the year before. 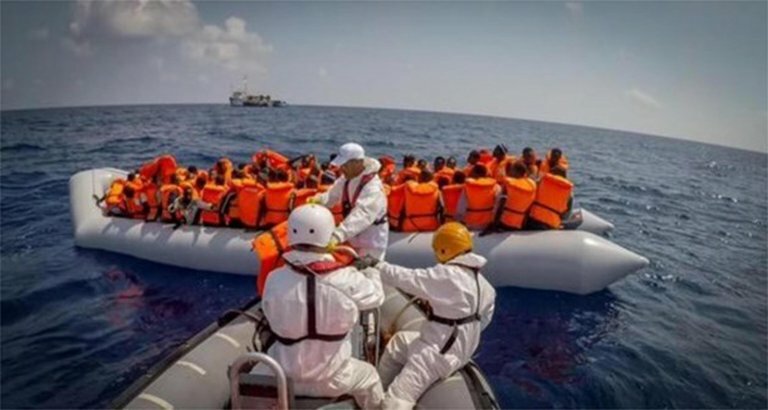 "Morocco is making an enormous effort to loyally ensure cooperation with Spain on immigration", Security Minister Jose Antonio Nieto was quoted as saying by newspaper ABC. The government of Mariano Rajoy "is constantly conveying to Frontex", the European border agency, ''the need to start a strategically organized policy to deal with migrant issue'', added Nieto. The minister recalled that what he called a "very solid alliance" established with Turkey had given results as illegal arrivals in Greece went down 77 percent last year. "A country like Morocco, which has been working for a long time with loyalty and without receiving much in exchange, is asking for help", observed Nieto. Rabat did not have the economic capability of getting the most sophisticated means to control irregular immigration more effectively, he continued. The minister said the country is asking for better training for security personnel as well as social support to deal with the inflow of migrants. According to the Spanish government, development aid to the countries of origin of migrants is key to deal with the crisis. Interior Minister Joan Ignacio Zoido on Monday started a trip to Senegal and Mauritania as part of this strategy. But Madrid also wants Europe to help Morocco, as it has done with Turkey, to contain the inflow of Syrian refugees with the agreement signed in March 2016 by Ankara with the EU. The western Mediterranean route last year was the most-used by migrants and, according to Nieto, the pressure will continue because "immigration is a business which, according to international reports, is more lucrative than drug trafficking". According to the minister, Morocco should become ''a destination country'' rather than a country of transit for migrants. Meanwhile, the Spanish government is reviewing its temporary hosting centers for foreigners, giving priority to ''humanitarian standards'' and building new structures, including a center under construction in Algesiras designed to accommodate up to 700-750 people, and two others being planned to host migrants between Almeria, Murcia and Alicante.